Well, the 2015 Auslese mags sold out a bit quicker than we anticipated, but luckily we have a handful of these for you Riesling lovers. Have we gone MAD?! Look at this price! Life is just better with a giant (I mean really BIG --- over a foot and half long?!) 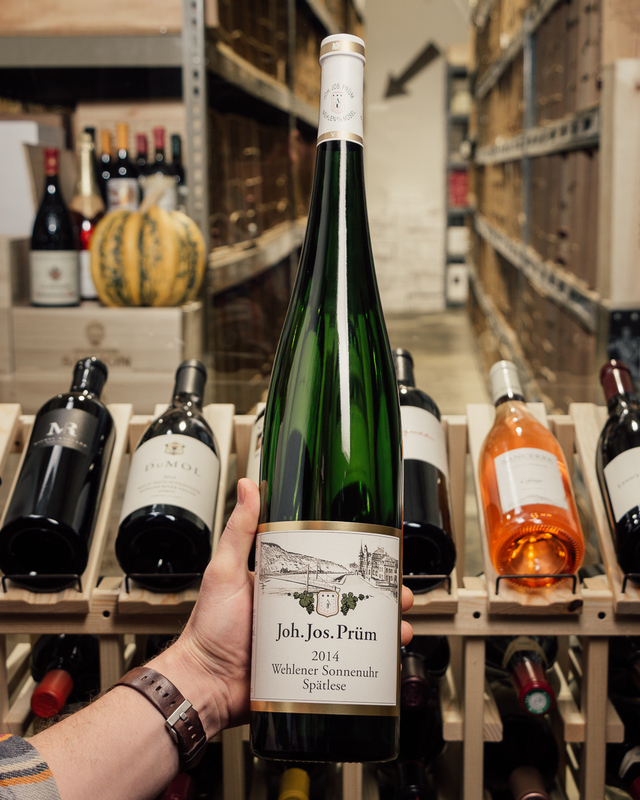 magnum of J.J. Prum. There may be no better way to roll into a holiday party (especially with a bunch of winemakers in Napa) than with one of these giant bottles...trust us. Since 1156 the Prums have called the village of Wehlen home. The Prüm estate as we know it today began with Sebastian Alois Prum (1794-1871); his brother Jodocus constructed the Wehlener and Zeltinger sundials. Of his six sons only Mathias (1835-1890) married. In 1911 the estate was split amongst Mathias’ four sons and three daughters. It was when his oldest son, Joh. Jos. Prum, started the estate and his son who really propelled the estate into international stardom. It’s most important vineyard holdings are the Wehlener Sonnenuhr, Graacher Himmelreich, Zeltinger Sonnenuhr and Bernkasteler Badstube. Today, J.J. Prum stands as one of the most revered producers of Riesling in the world. Powerful and concentrated flavors of roasted peach, dried pear and glazed pineapple are focused and offer plenty of dried savory accents in this white, which is very minerally in the midpalate, with a long, crunchy finish. Drink now through 2030. 300 cases imported.